Lou A Pixar short about a lost-and-found box and the unseen monster within. The Secret Life of Kyle After the events of Despicable Me 3, we follow Kyle and his secret life when Gru and his family are gone. Planet Unknown At the end of 21st century, mankind were facing global resource depletion. Space Rovers were sent out to find potential inhabitable planets. 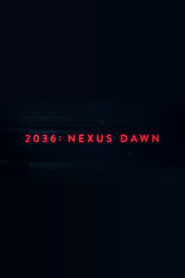 2036: Nexus Dawn Niander Wallace demonstrates the merits of a new type of Nexus to the LAPD. 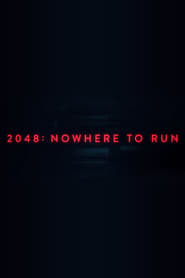 2048: Nowhere to Run Gentle Sapper, a replicant, unleashes his true power when he sees his loved ones in trouble. Olaf’s Frozen Adventure A Christmas-themed special featuring characters from Walt Disney Pictures' 53rd full-length animated motion picture, "Frozen (2013)". Guardians of Martial Arts The main actor (Jack Ma)is walking down the street, suddenly he sees the some words hiding between the green grass. He closes his eyes and the duel with different martial arts masters (e.g. Tony Jaa, Natascha Liu B., Jet Li etc. begins. Puppy! Trouble ensues at Hotel Transylvania when Dennis gets a new monster-sized pet. Finding Dory: Marine Life Interviews Interviews with the animals at the Marine Life Institute about their experiences with Dory. Rakka A tale of a dystopian future where an unknown alien group have colonised the earth and humans struggle to fight back. Puss in Book: Trapped in an Epic Tale While out fighting off ninja pirates, Puss stumbles on a fairy tale book. 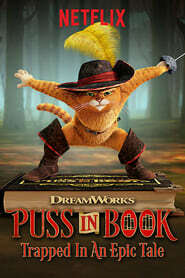 When he opens it, the adventure begins, as the viewer must choose each outcome, eventually freeing Puss from the book. Inner Workings The mind and heart of an average office worker clash over what he wants and what he needs. Black Holes Dave is about to lead the first mission to Mars when he’s teamed up with a sentient melon, who claims to be the reincarnation of a fashion designer, upstaging his big moment and driving him to the brink of madness. 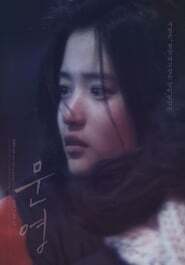 The Rule of Violence A woman trapped in an abusive relationship. Scrat: Spaced Out Dalam peristiwa utama Ice Age: Collision Course, Scrat ditangkap oleh Scratazons yang mengambil biji nya. Sekarang, Scrat harus menyelamatkan Acorn dan melarikan diri sebelum alien bisa menangkapnya. Piper Pusat-pusat pendek pada sandpiper muda, eponymous Piper, yang takut air. Dia bertemu umang-umang muda yang "mengajarkan dia cara gelombang". One Perfect Day Mencari cinta, seorang pemuda berjalan melalui serangkaian tanggal yang gagal. Belum gadis lain berjalan keluar pada dia menyesalkan atas saran kehidupan ayahnya. Mower Minions The Minion perlu meningkatkan $ 20 sampai membeli seperti yang terlihat di TV pisang blender. Jadi mereka mengambil memotong rumput di rumah orang tua, dengan kejenakaan lucu! Superman/Shazam! : The Return of Black Adam Dipilih pelindung dunia terhadap Tujuh Musuh Mematikan Manusia - kesombongan, iri hati, keserakahan, kebencian, keegoisan, kemalasan dan ketidakadilan - muda Billy Batson menerima takdirnya sebagai Captain Marvel. Berjuang bersama Superman terhadap jahat Hitam Adam, Billy segera menemukan para pahlawan super tantangan akhirnya menghadapi: itu balas dendam atau keadilan?